Check out the details on Artsploitation Films acquisition of Snowflake plus the trailer! 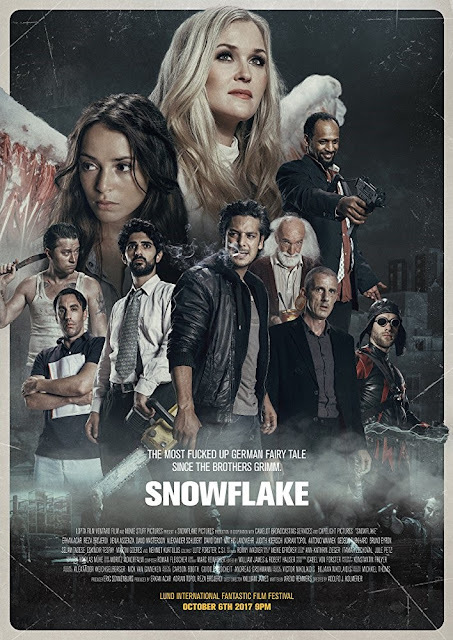 Artsploitation Films has acquired the U.S. rights to SNOWFLAKE, The Most Fucked Up German Fairy Tale Since The Brothers Grimm. Produced by Lopta Films, Ventaro Films, and Movie Stuff Pictures, it's a non-stop roller coaster ride with more twists and turns than you can imagine. Directed by Adolfo Kolmerer and William James, the film is scheduled to be released in the later half of 2018.